New Publishing Schedule for the Bulletin! As we enter a new year, there will be new changes for the Bulletin for the Study of Religion. The editors are pleased to announce that the Bulletin will have a new publishing schedule as of 2015. Rather than the February/April/September/November schedule that we’ve had, the Bulletin will now be published in March, June, September, and December. This new, more balanced schedule should allow quicker publication of articles going through revision, closer use of the Bulletin’s blog to engage articles – and especially panels of articles – appearing in the Bulletin, and a smoother production process. 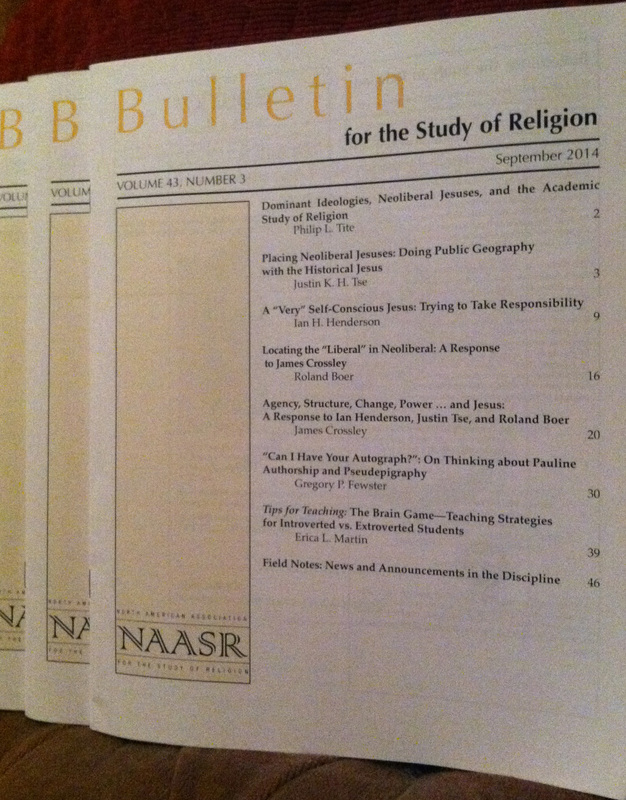 So look for the next issue of the Bulletin for the Study of Religion this March! This entry was posted in Announcements and tagged Bulletin for the Study of Religion, Religion, religious studies. Bookmark the permalink.